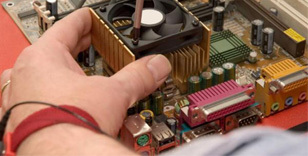 Detailed information and reviews of Minnesota companies, shops and technicians offering computer repair, pc & laptop fix and maintenance services. Post your requirements and receive no obligation price estimates and quotes. Video Card - My Dell laptop appears to need a new video card. The video went dead and only blinks. Laptop Screen Repair - My son dropped his Hp 2009 laptop I need the screen repaired. Laptop screen - My laptop screen is cracked on the inside. It is a Toshiba, about a year old. Wondering about the cost of repair or replacement. Laptop Repair - I need a hard drive for a toshiba satellite L305-S5865. The one i had in it was a hitachi 160gb 5400rpm hdd#5k250-160 model# hts542516k9sa0o.